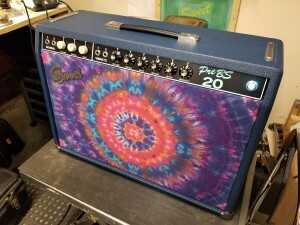 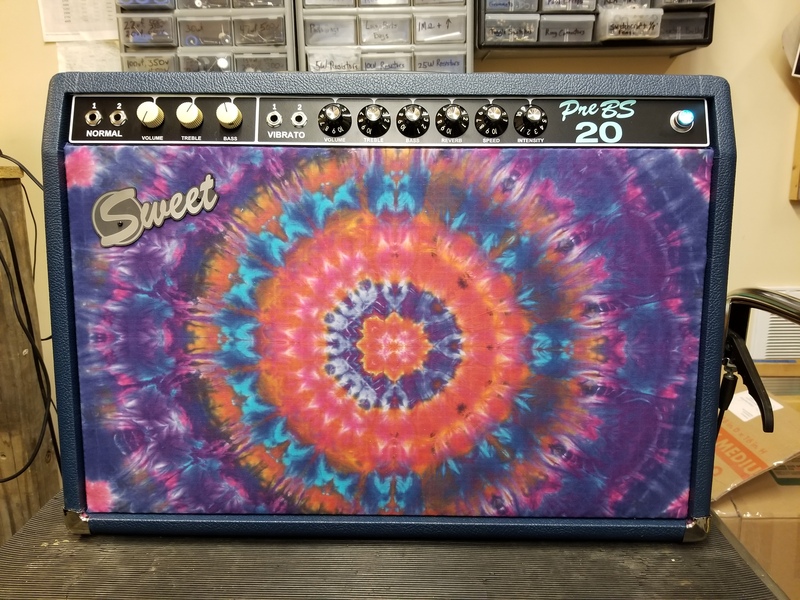 A very special custom PreBS 20 for a “Deadicated” client with tie dye grill cloth from artist Courtanay Pollock from late 60′s Grateful Dead fame. 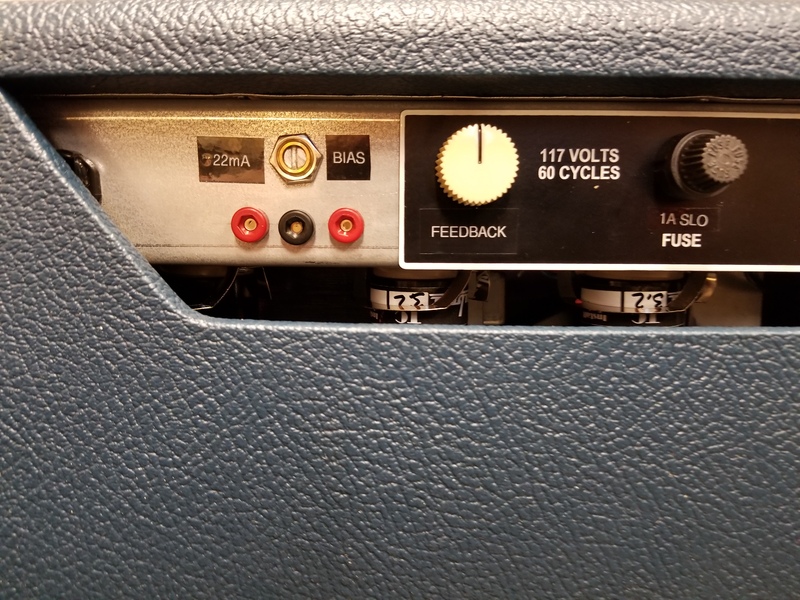 This one has Mercury Magnetics transformers, Weber 12F150B speaker, and push-pull midboost, as well as user adjustable bias on the rear panel. 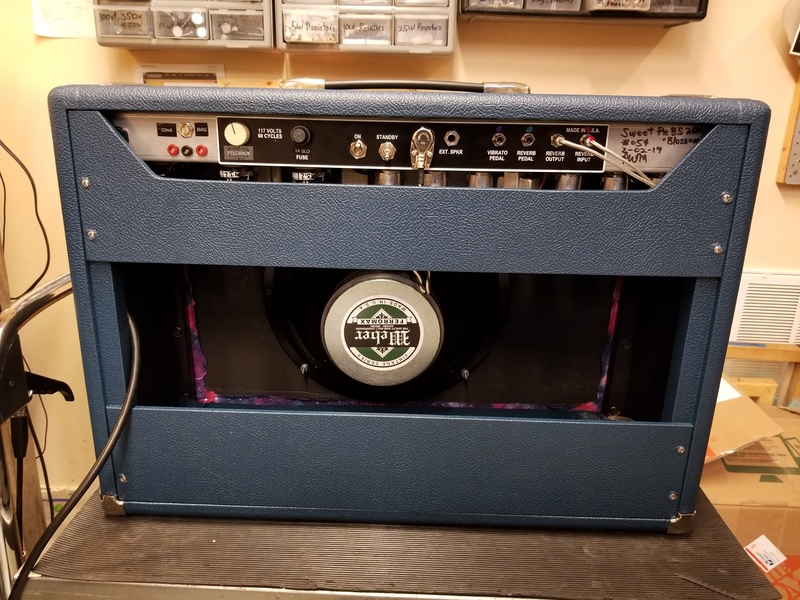 Ready for any roots rock, blues, jazz, country, R&B, or indy rock duty! This entry was posted in Uncategorized and tagged American Beauty, blackface amp, blues amp, boutique amp, Box of Rain, chicago blues, classic rock amp, Deluxe Reverb, Fender Deluxe Reverb, Grateful Dead, hand wired amp, point to point wiring, Psychedelic Rock, Tie Dye, Vintage Tube Amp. Bookmark the permalink.